We’re thrilled to share the news that Peter is working on a MEMOIR! He has officially pulled up a chair and is recounting tales from throughout his life, soon to become his first-ever autobiographical book. We don’t have a publication date yet, but stay tuned. In other news, Peter is embracing SOCIAL MEDIA and has already started posting viola jokes and sharing photos and news on a new batch of platforms. Follow him (and P.D.Q. Bach) using the links just above the news. Also, be sure to use #pdqbach and #peterschickele on Instagram and Twitter to connect with other fans. Last, but not least, we have a new feature we are working on adding to schickele.com, and we’re hoping you’ll help us test it out. It’s a DATABASE of all works by Peter Schickele, Prof. Peter Schickele, and P.D.Q. 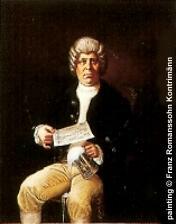 Bach, and it’s searchable by instrument (even by those instruments only ever used by P.D.Q. Bach) and other categories. If you’d like to help beta test the catalogue, drop a line to Schickele Webmeister (webmeister@schickele.com) and we’ll sign you up. If you know anyone else who’d like to give it a test drive, feel free to pass this information along. We at schickele.com and Peter’s social media sources are excited about everything that’s happening, and we look forward to seeing you online and sharing more news as we have it. In a recent announcement, Musica Viva NY has made it known that they have fearlessly scheduled selections from P.D.Q. Bach’s Liebeslider Polkas in their concert of choral love songs, right alongside Johannes Brahms’ suspiciously similar Liebeslider Waltzes and Robert Schumann’s not nearly as similar Spanisches Liderspiel. Before this happens, Peter Schickele will give a pre-concert talk that will hopefully explain how P.D.Q.’s piece for chorus and piano five hands ended up in such elite company as Brahms and Schumann. Among the soloists in this concert is Michèle Eaton, who is also the off-coloratura soprano in the P.D.Q. Bach touring programs. The concert will take place on September 23, 2018 in New York City’s historic All Souls Church on Lexington Avenue. Mr. Schickele’s pre-concert talk will be at 4:00 p.m. in the Forrest Church Gallery, with the concert itself commencing at 5:00. More information can be found on the Musica Viva NY website at http://musicaviva.org/concert/songs-of-love/ and pretty much the same information can be found on this very website’s Concert Listing page. It is just been announced that Peter Schickele will be speaking at the Yale School of Music in New Haven, Connecticut. His talk will cover many facets of a career in music. The details of this event, with links for buying tickets, can be found on the Yale site at http://music-tickets.yale.edu/single/EventDetail.aspx?p=18179 and have been hastily added to this website’s Concert Listing page. The Silent Running soundtrack is back on the endangered list. Just two announcements back (see below) was a report on how after more than 40 years of the LP recording of Mr. Schickele’s score for the 1972 science fiction movie being out of print, Intrada had been able to release a CD of the score. Now it looks like even the CD may become hard to find, since supplies of this release are running low, with less than 125 remaining on the CD company’s own site as of this posting. Anyone who had been hoping for a CD reissue for all of these years should pick up a copy before it is too late, by following the links on the Silent Running Soundtrack page. Meanwhile, on the Concert Listing page, continuing performances by pianist Jeffrey Biegel of P.D.Q. Bach’s Concerto for Simply Grand Piano and Orchestra have been scheduled through the 2017-2018 season with additional orchestras that contributed to commissioning this large and humorous work. The orchestras taking on the concerto this season are the Empire State Youth Orchestras in Troy, New York on November 4, 2017; the Arkansas Philharmonic in Bentonville, Arkansas on November 11, 2017; the Youth Orchestras of San Antonio, Texas on January 28, 2018; the Metropolitan Symphony Orchestra in Roseville, Minnesota on April 8, 2018; and Orchestra Kentucky in Bowling Green, Kentucky on May 19, 2018. Details on locations and tickets can be found on the updated Concert Listing page. The upcoming (later this week) performances of P.D.Q. Bach’s Concerto for Simply Grand Piano and Orchestra by the Fargo-Moorhead Symphony Orchestra will have a special guest: former Fargo resident and FMSO bassoonist Peter Schickele. Not only will he be attending the performances of this newly-discovered epic piano concerto played by Jeffrey Biegel on March 18 and 19, he will also be guest speaker at “An Evening With Peter Schickele: My Fargo Memoir” on March 17. This event will include hors d’oeuvres, a question and answer session, a dessert and autograph reception, and a chance to attend the dress rehearsal immediately following. Details can be found on the Concert Listing page. More than 40 years after its original release on LP, Peter Schickele’s score to the 1972 ecological science fiction movie Silent Running has finally been reissued on CD. Credit goes to Intrada (see http://store.intrada.com/), experts in high quality movie soundtrack recordings, for working through the quagmire of rights issues and technical problems that have kept this oft-requested recording from reaching the public for so many years. Unfortunately, years of effort have not been able to uncover the original master tapes, so Intrada has used their technical wizardry to create the best possible recording from a fresh copy of the LP. They have also included a 20-page booklet detailing the background of this restoration process, with photos from the film and a track-by-track analysis. This CD is currently not available through the Peter Schickele Website, and it may disappear again at some point, but for now it is finally available from Intrada and other record dealers, and information on how to order this CD can be found on the Silent Running Soundtrack page. The latest P.D.Q. Bach discovery, and in fact the largest P.D.Q. Bach work to be discovered this century, is going to be receiving its premiere performances this season. Pianist Jeffrey Biegel has arranged the commission of this discovery by Prof. Schickele with the help of over a dozen orchestras around the world, who will be performing it with him over the next few years. The earliest of these performances are by the Colorado Symphony Orchestra, the New Philharmonia Orchestra of Newton, Massachusetts, the Austin Symphony, the Traverse Symphony Orchestra, the Fargo-Moorhead Symphony, Philharmonia Northwest, the South Florida Symphony Orchestra, the North Mississippi Symphony Orchestra, and the Portland Columbia Symphony Orchestra. All of them are listed on the Concert Listing page, with many details of time and place and ticket-buying. A couple of new concerts appeared on the Concert Listing page for Summer while everybody was distracted by Spring. The earliest, on June 4, 2016, includes Mr. Schickele participating in the massive Choralfest USA at Symphony Space in New York City, by joining The Canticum Novum Singers, director Harold Rosenbaum, and members of Amor Artis in a performance of his comedic madrigal Go For Broke. The latest, on August 5, 2016, falls into the Shakespeare 400th Anniversary celebrations, this one on a creek in the Catskill Mountains in a program called “Shakespeare on the Esopus”, part of the Phoenicia International Festival of the Voice in Phoenicia, New York. Here Peter Schickele, Michèle Eaton, and Brian Dougherty will perform Shakespeare related music including Mr. Schickele’s Songs from Shakespeare, his infamous settings of The Bard’s most famous speeches to 1950’s rock ‘n’ roll. By the time of that performance, the Concert Listing page will have acquired some information about Fall and the 2016/2017 season. The previously announced P.D.Q. Bach: The Golden Anniversary concert in New York’s Town Hall later this month has proven so popular that another performance has been added in the same location the following night: December 29, 2015. All of the same stellar artists will be reprising their roles to give everybody who couldn’t get a ticket to the first performance a chance to experience this still once-in-a-lifetime extravaganza. Looking farther ahead on the concert schedule, Mr. Schickele will also be attending some performances of his chamber music this March. The Phoenix Chamber Music Society’s Winter Festival 7 includes two concerts with Schickele music in Phoenix, Arizona, one of them on March 5, 2016 featuring the recent Quintet for Clarinet and String Quartet and the other a concert containing both Mr. Schickele and P.D.Q. Bach pieces on March 8, 2016. Then on March 20, 2016, the Concord Chamber Music Society in Concord, Massachusetts presents an all-Schickele concert including Music for Mary, After Hearing Bach, and The Emperor’s New Clothes. More details on these concerts have been added to the Concert Listing page to make the original listing of P.D.Q. Bach: The Golden Anniversary appear less lonely. Peter Schickele’s Concerto for Bassoon and Orchestra is now available on CD, played by the very same bassoonist who first performed the concerto back in 1999, George Sakakeeny. In this premiere recording he is assisted by the Oberlin Orchestra, conducted by Raphael Jiménez. The CD also includes contemporary bassoon music by Augusta Read Thomas, Libby Larsen, and Russell Platt, and full information can be found on the new Concerto for Bassoon and Orchestra page, including track listings, audio samples, and even a way to order your own copy. The Kickstarter Campaign for P.D.Q. Bach: The Golden Anniversary has wrapped up with the campaign goal well exceeded, with great thanks to the hundreds of people who pulled together to make this happen. For anybody who did not get tickets to this December 28, 2015 concert at New York City’s Town Hall through the Kickstarter Campaign, they are now available at the box office (212-840-2824) and through Ticketmaster (http://ticketmaster.com/). See the Concert Listing page for details. So many supporters signed up for the Kickstarter Campaign that the goal was reached in half the time, which means that the 50th Anniversary Concert will go on as hoped on December 28, 2015 at Town Hall in New York City! Much appreciation is extended to everybody who has participated, or who helped spread the word by forwarding emails or sharing Facebook posts. Tickets are not yet on sale at the box office, but they are still available through the Kickstarter campaign, along with all of the premiums, including a new premium now that the concert is definite: the concert poster, which is even available autographed by all of the major performers in the concert. You can see what that poster looks like on the concert listing page now, and there’s still time to contribute to the campaign to nab any of these premiums or pre-sale tickets. The latest entry to be added to the concert listing page could be the finale to the 50th Anniversary season, a tribute to both the first public P.D.Q. Bach Concert in New York City in Town Hall 50 years ago and the almost unbroken 40-year run of annual concerts in that city between Christmas and New Year’s, as this Golden Anniversary concert is scheduled for both Town Hall and December 28, 2015. But in order for this concert to take place, production costs must be raised through a Kickstarter campaign. This campaign will kick off during the next week, and will feature exclusive premiums ranging from University of Southern North Dakota at Hoople bumper stickers and diplomas to personalized rounds and house concerts by Peter Schickele himself. Details will be provided soon, so watch this space, “like” our Facebook page at http://www.facebook.com/OfficialPDQBach, and tell all your friends. Several concerts have been added to the concert listing pages featuring Peter Schickele’s chamber music in the months of June and July. First off is the world premiere of Mr. Schickele’s Percussion Sonata No. 3, “Maverick”, for Maverick Concerts’ Centennial Season in Woodstock, New York on June 27. This will be performed by NEXUS, the same group who premiered and recorded his Percussion Sonata No. 2 “Woodstock”. Then on July 17th through 19th in Portland, Oregon, Chamber Music Northwest’s Summer Festival features several concerts including Peter Schickele’s music. It starts off with a gala benefit 80th Birthday Bash featuring music of both P.D.Q. Bach and Peter Schickele on July 17th, and also includes a children’s concert featuring Mr. Schickele’s The Emperor’s New Clothes on July 18th, a lecture on What’s So Funny About Music? on July 19th, plus the world premiere of Mr. Schickele’s Quintet for Clarinet and String Quartet on both July 18th and 19th. 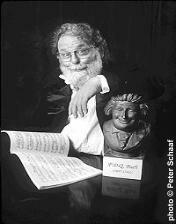 The Summer Music Festival season concludes with some Peter Schickele music performed at The Phoenicia Festival of the Voice in Phoenicia, New York, on July 31, about which more details will be added later. 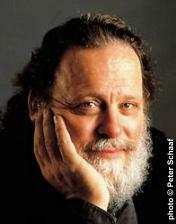 Intermixed with these concerts of Peter Schickele’s chamber music, the P.D.Q. Bach 50th Anniversary season continues with performances of 50 Years of P.D.Q. Bach: A Triumph of Incompetence on June 13 in Quogue, New York and 50 Years of P.D.Q. Bach: As Good As He Ever Was on July 12 in Brevard, North Carolina. Two new upcoming concerts have been added to the concert listing page’s April dates. Included amongst them are this year’s Armadillo String Quartet’s annual Music of Peter Schickele concert, which takes place on April 13, 2015 at the First Congregational Church in Los Angeles, California and will feature the traditional generous supply of Mr. Schickele’s chamber music for strings and other instruments, in this case an additional flute. Also included is Mr. Schickele appearance in Fleischmanns, New York on April 26, 2015 as part of the series Spillian Sundays: Voices from the Catskills. The concert listing page now includes more details on both of these concerts, plus more details on the previously mentioned VocalEssence concert in Minneapolis, Minnesota on April 10, 2015. Then on April 24, 2015, the actual exact date of the 50th Anniversary of P.D.Q. Bach concerts, in addition to the performance of 50 Years of P.D.Q. Bach: A Triumph of Incompetence in Morristown, New Jersey, Professor Schickele will also be the guest of John Schaefer for an interview on WNYC. Details on how to listen in will be available at http://www.wnyc.org at that time, just as details for how to attend this concert on the actual anniversary date are available on the concert listing page. Two films from the mid-1960’s that include scores written by Peter Schickele will be included in BAMcinématek’s Film Series Fog City Maverick: The Films of John Korty at the Brooklyn Academy of Music: Funnyman (1967) and The Crazy Quilt (1965). The screenings are at the BAM Rose Cinemas on February 25, 2015. Funnyman can be seen at 4:30 p.m. and 9:00 p.m., and The Crazy Quilt can be seen at 7:00 p.m. John Korty will be on hand to introduce the 7:00 and 9:00 showings. For more information, see http://www.bam.org/film/2015/fog-city-maverick-the-films-of-john-korty or the concert listing page. Almost 50 years after those films were made, September 26, 2014 to be needlessly precise, Mr. Schickele was a guest on Jason Klamm’s podcast Comedy on Vinyl, discussing early P.D.Q. Bach records that were released on vinyl records. This can now be heard at http://stolendress.com/comedyonvinyl/wordpress/wordpress/episode-112-peter-shickele-aka-pdq-bach/ and is now listed on our archived radio broadcasts page. To mark this season’s celebration of the Fiftieth Anniversary of the first public P.D.Q. Bach concert in 1965 and the many years of concert touring in between, the curator has put together a photograph album covering the entire range of these tours from the very beginning to the fairly recent. Join in the celebration by strolling through this 50-photo behind-the-scenes glimpse into this amazing 50-year history and then check the concert schedule to see which one of this year’s Fiftieth Anniversary concerts is closest to you. Two more concerts have been added to the upcoming concert schedule while nobody was watching. The first of these is coming up on Friday, December 5, 2014, at The College of New Jersey in Ewing, New Jersey. The college’s choirs and some of their instrumental groups will be playing a wide-ranging selection of music from both P.D.Q. Bach and Mr. Schickele, with Mr. Schickele on hand to introduce the pieces and sometimes join in the singing. See the concert listing page for a complete list of the pieces to be performed, along with more details on the location and ordering tickets. On that same page also see that about six weeks later (with the previously announced Cape Cod Symphony New Year’s Day Party in between the two new events), several of Mr. Schickele’s string quartets will be played in Yakima, Washington on January 17, 2015. The performers include violinist Denise Dillenbeck, along with some members of the Armadillo String Quartet: Armen Ksajikian and Steve Scharf. And then we’re well into the new year, the 50th Anniversary year, which already has several performances of 50 Years of P.D.Q. Bach: A Triumph of Incompetence on the concert calendar. Two announcements back, this news page introduced a new CD of Peter Schickele and P.D.Q. Bach piano music, Morning Music, played by Laura Leon. Now one of the selections from that CD, Mr. Schickele’s Small Serenade, can be heard live in New York City, also played by Laura Leon. The performance is part of a free concert for Composer’s Voice, their 4th Annual Children’s Month Concert, on Sunday, September 28, 2014, at 1:00 p.m., at Jan Hus Presbyterian Church on East 74th Street. You can find out more about this concert on the Peter Schickele Nonappearances page, or if you aren’t in New York City, you can hear excerpts from this very same piece, in audio clips recently added to the Morning Music CD page. Peter Schickele was recently a guest on several editions of The Tom and Doug Show (http://www.tomanddoug.com/) on KHOI-FM radio. The Tom and Doug Show that was broadcast earlier this week featured a Peter Schickele interview which can be heard on their recent podcasts page (http://www.tomanddoug.com/tndpodcasts.html) for the next few weeks. 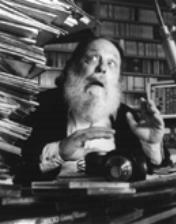 In addition, a two-hour special edition of a previous interview can be heard on their Peter Schickele Archive Page (http://www.tomanddoug.com/schickele.html). In between those two programs, another Peter Schickele interview on an April edition of the show has already been pushed off of their recent podcasts page by more recent podcasts. But Tom and Doug have kindly given us permission to link directly to all of these programs, so a complete list of links to Peter Schickele appearances on The Tom and Doug Show can now be found our newly updated Radio Broadcasts page. As promised in the previous announcement below, the concert listing page has been updated with the newly scheduled concerts, not only for the Summer of 2014, but also for the 2014-2015 concert season. This season will feature several performances around the country of 50 Years of P.D.Q. Bach: A Triumph of Incompetence, a celebration of the 50 years that have passed since Professor Peter Schickele released P.D.Q. Bach on an unsuspecting musical public. Before then, coming up later this week, Peter Schickele will be composer-in-residence at the Great Lakes Chamber Music Festival on the East side of Michigan from June 19 through June 23. See the concert listing page for the complete list of concert dates with helpful information and links for ordering tickets. And as not promised in the previous announcement below, the Peter Schickele recordings page has been updated with information about an exciting new CD release, Morning Music, containing solo piano music by both Peter Schickele and P.D.Q. Bach never before recorded but now played by Laura Leon, plus a couple of piano four hands pieces. This CD is the largest recording of Peter Schickele piano music ever made, so see the complete track listing on the new Morning Music page, or even order the CD right off of that very same page. The new season of P.D.Q. Bach concerts is taking longer to arrange than expected. It was hoped that by this time we could have announced several concerts scheduled for the last half of the 2013-2014 season, but with concert seasons being scheduled more than a year ahead of time, there was not enough time to schedule much for early 2014. But there has been enough time to arrange some concerts for the 2014-2015 season and we will certainly have some specific concerts to announce before next year at this time. In the mean time, there is at least one concert where Mr. Schickele’s music will being performed during the current season: February 18, 2014 at Georgia Southern University, where Linda Cionitti will be playing the Concerto for Clarinet and Orchestra with the Georgia Southern Symphony. The concert page includes details about this concert and also about the new P.D.Q. Bach programs that will be available next season, plus a promise to update the concert listing page as soon as a few more scattered concerts are added during the Spring of 2014. Two appearances at the Music and Beyond Festival in Ottawa have just been announced. The first is a Saturday evening performance on July 6, 2013 of The “What’s Your Sign?” Tour, featuring the same cast that will be touring with this show in the upcoming 2013-2014 season (see information below). Following that, on the Sunday afternoon of July 7, 2013, this Ottawa Festival will also host a complete program of Peter Schickele chamber music, scheduled to include String Quartet No. 3 “The Four Seasons” and Quintet No. 2 for piano and string quartet. Both of these concerts have been added to the concert listing page, with links to more information including the Festival website. On July 24, 2013, the Philadelphia Orchestra is devoting an entire summer concert to sports, combining “Phillies, Eagles, Sixers, Flyers, and Union...best sports moments on a giant video screen set to classical music’s greatest hits” and fittingly a featured work on the program is the ultimate in combining sports and classical music’s greatest hits: “New Horizons in Music Appreciation” (Beethoven Symphony No. 5 Sportscast). Prof. Schickele will be calling the play-by-play, while "Voice of the Eagles," Merrill Reese provides the color commentary, the Philadelphia, conducted by Steven Reineke, provides the Beethoven, and Elliott Forrest (Jocko from P.D.Q. Bach: WTWP Classical Talkity-Talk Radio) provides the concert’s giant sports videos. And then there are fireworks. See the concert listing page for more information and links to the Mann Center. The Armadillo String Quartet continues their series of annual Music of Peter Schickele concerts on June 11, 2013 at 7:30 p.m. This year’s offering includes two (depending on how you count) word premieres, including the Serenade for String Trio and String Quintet No. 2, in addition to old favorites String Quartet No. 1 “American Dreams”, and Top o’ the Millennium for 2 violas. As is often the case in these cases, the concert will take place at the Neighborhood Church in Pasadena, California, which can be found at the address on the concert listing page. After three years with no regular concert tours of P.D.Q. Bach and Peter Schickele music, the good professor is hitting the road again. He’s bringing back both of the notorious chamber music programs that combined P.D.Q. Bach discoveries and Peter Schickele compositions, The Jekyll and Hyde Tour and The What’s Your Sign? Tour, and has reassembled the cast of characters that have brought this music to life: off-coloratura soprano Michèle Eaton, tenor profundo Brian Doughterty, keyboarder Margaret Kampmeier (for The What’s Your Sign? Tour), and stage manager William Walters. The tour will take place during the 2013-2014 season, so the time to start booking the concerts into your local theaters is now. Information about these concerts can be found on the concert listing page, complete with lists of pieces to be performed, audio clips, performer biographies, and contact information for the booking agent. Also on the concert listing page are the latest last-minute but short-notice updates to the 2012-2013 concert calendar. This includes two different concerts featuring veteran P.D.Q. Bach musicians playing Mr. Schickele’s music. The first of these feature Jorge Mester, conductor of the very first public P.D.Q. Bach concerts and several of the December concerts in New York city, this time conducting the Louisville Orchestra in Mr. Schickele’s Concerto for Chamber Orchestra at Whitney Hall in Louisville, Kentucky. Mr. Schickele will be on hand for a pre-concert chat with Maestro Mister Mester for this concert, coming up quickly on February 21 and 22, 2013, and followed closely thereafter by February 23, 2013, when Bargemusic in New York City will be the location for Alaria to play Mr. Schickele’s Piano Trio “Alaria” on a floating barge in Brooklyn just under the Brooklyn Bridge. Alaria, whose piano player David Oei was an original member of The Intimate P.D.Q. Bach concert tours in the 1970’s, commissioned this work and premiered it just over a year ago. Those who missed the piece the first time around can find out more about it on the concert listing page, just after the information about the 2013-2014 concert season offerings. 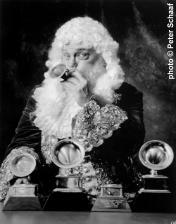 Peter Schickele will be appearing on A Prairie Home Companion with Garrison Keillor on Saturday, December 1. This program will be broadcast live on American Public Media (see http://prairiehome.publicradio.org/ for details) and can also be seen in person at Town Hall in New York (also see http://prairiehome.publicradio.org/ for details). Mr. Schickele will be presenting Joy To The World, Especially Out Of Work Musicians, a Suite For Six Gig-Impaired Musicians: Piccolo, English Horn, E-flat Clarinet, Baritone Saxophone, Contrabassoon, and Gong. Also appearing on the same program with Peter will be The Bacon Brothers, which is sure to improve Peter’s score when playing Six Degrees of Kevin Bacon. The Blair Woodwind Quintet has not only commissioned a Peter Schickele woodwind quintet, they have also recorded the work along with several other pieces Peter Schickele pieces featuring woodwinds, and has also made the CD available for purchase right off of this very Web Site. The new piece and the CD are both called A Year in the Catskills and evoke the feeling of four months spent in the Catskills Mountains, plus a finale. Other works on the CD include What Did You Do Today at Jeffey’s House for French horn and piano, Dream Dances for flute, oboe, and cello, Gardens for oboe and piano and Diversions for oboe, clarinet and bassoon, works that have been sometimes heard on the radio (the first one and part of the second were heard on NPR’s From The Top) and sometimes in hard-to-find CDs (the third one) or LPs (the fourth), but have never before been collected together in one easy-to-play CD. It is also easy to order, right from the same place where you can find complete track listings and sample audio clips. ...who will also be on hand for some events over the summer in the mountains of New York. The Woodstock Beat benefit concert this year will feature a retrospective of the works of Peter Schickele and P.D.Q. Bach on in Woodstock, New York on July 21: Byrdcliffe Presents: The Woodstock Off-Beat: The Musical Life of Peter Schickele. And two of Mr. Schickele’s larger choral works will be included in The Phoenicia International Festival of the Voice on August 5 in Phoenicia, New York: Concerto for Piano and Chorus “The Twelve Months” and Go for Broke, a Comedy for Chorus. More information about all of these events and the concert scene can be seen at the usual location. The sixth annual edition of the Holiday Trainwreck, where Peter Schickele shares the stage with Gilles Malkine and Mikhail Horowitz at the Bearsville Theater in Woodstock, New York, has been scheduled for December 10th at 8:00 p.m. This year Peter’s music will be performed with the assistance of singers Elizabeth Farnum, Alexandra Sweeton, Brian Dougherty, and Lewis White. Those who have attended some of the previous year’s shows will know what to expect, and everybody else can find out all about it on the new Holiday Trainwreck page and then still not know what to expect. Meanwhile, the WQXR Classicial Comedy Contest, where last month Peter was one of the judges at the Caroline’s on Broadway comedy club, has been turned into a 1-hour television program that will be broadcast on New York area public radio stations Thirteen WNET and WLIW21. These broadcasts are scheduled at disparate times on December 9th, December 10th, and December 9th again, including, in true comedy club fashion, a midnight show. Even though this is now a television broadcast, you can still find the details on the Concert Schedule page, including the specific broadcast times on each network. The next concert to be added to the 2011-2012 Concert Season is presented by Alaria and includes the world premiere of the Piano Trio that Peter Schickele has written for them. The concert will take place at Weill Recital Hall at Carnegie Hall in New York City on December 4, 2011. Performing the work will be members of Alaria including pianist David Oei, who was one of the original cast members of the Intimate P.D.Q. Bach touring program way back in the 1970’s and on the record album (as such things were called way back in the 1970’s) of the same name. Along with the premiere of Mr. Schickele’s Piano Trio, the group will also be playing works by Beethoven and Shostakovich. See the newly doubled-in-size list of concerts on the Concert Schedule page for details. Even though the 2011-2012 Concert Season may have fewer events than in many previous years, some of the information about upcoming events has started to trickle in. Actually, most of the events are still in the planning stages and will be announced later in the season, but one of them is now listed on the concert calendar page ahead of all of the others because it contains a deadline that is coming up soon. Radio station WQXR has organized a Classical Comedy Contest where contestants can present their classical comedy acts before a panel of judges and a live audience for a chance to win fame, glory, and a prize package. Peter Schickele will be one of the judges at this event on November 8, 2011 at famous comedy club Carolines on Broadway as part of the New York Comedy Festival. Will you be one of the contestants? Read the contest rules on how to submit your own classical comedy video (before the deadline of October 10, 2011) at http://www.wqxr.org/comedy. Yet another concert has been added to the 2010-11 concert season, and also to the Armadillo String Quartet’s series of annual Music by Peter Schickele concerts. In fact, this bring to 21 the total number of consecutive years that the Armadillo String Quartet has presented evenings of chamber music jam packed with Peter Schickele compositions with the composer on hand to introduce them. This year’s offerings include the world premiere of Music for Judy for trumpet and string quartet along with other pieces for trumpet or string quartet or parts of string quartets. As in many previous years, the concert will take place at the Neighborhood Church in Pasadena, California, this time on May 23 at 8:00 p.m. See full details on the concert calendar page. Another concert has been added to the 2010-11 concert season, this one also at Symphony Space and also where Mr. Schickele will be in attendance but not performing. The performer will be Danielle Farina, former violist with the Lark Quartet, and the piece will be Mr. Schickele’s Mountain Music II for Viola and Piano, and the date will be February 7. More information and links to the Symphony Space site can be found on the concert calendar page. Find out whom to contact and also how. Sign up to receive automatic notification of Peter Schickele/P.D.Q. Bach Web Site news. Find out where on this Web site what can be found. 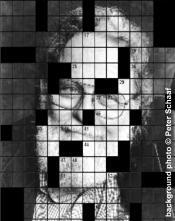 The Peter Schickele/P.D.Q. Bach Web Site has been honored with a “Cool Site” award by the Open Directory Project.